I create an invoice through Paypal and send to your email. Paypal accepts all major credit cards and you do not need a paypal account to pay. 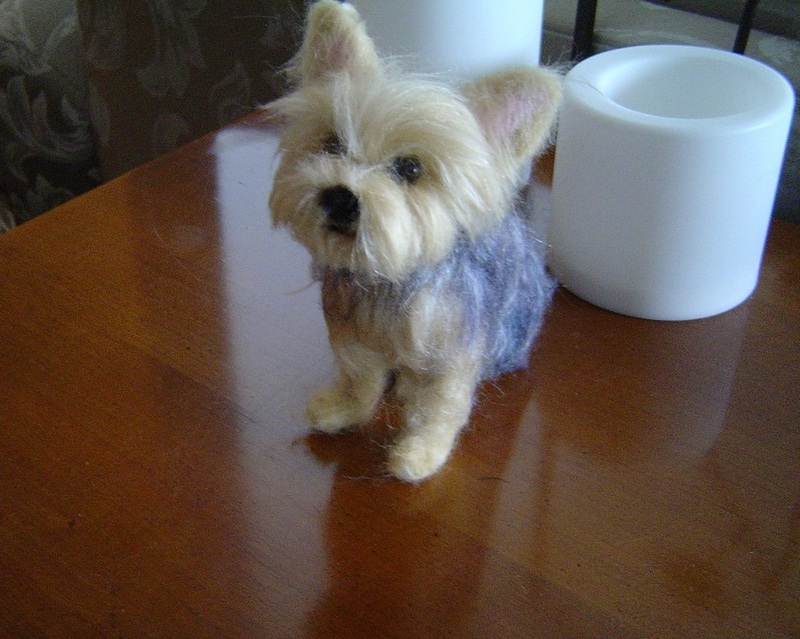 I do not invoice you, until your sculpture is completed and you are happy with the result. 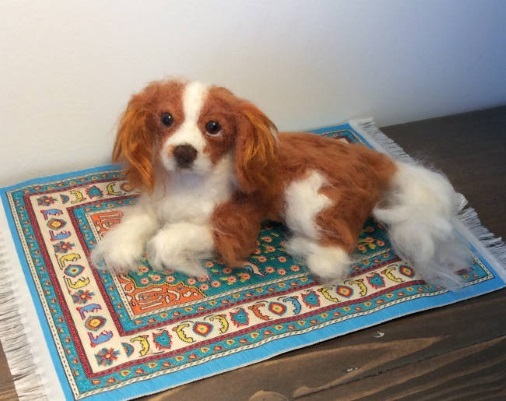 Payment is due after completion and approval of your miniature custom pet. Prices range from 155.00 dollars U.S. to 275 dollars U.S. plus shipping. Email me for a quote as it depends on size, and details. 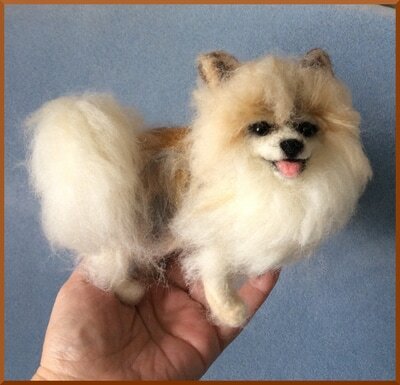 In general a custom dog sculpture 5 inches high is 175.00 U.S. Shipping is from 10 to 15 dollars in a box depending on your location. I ship to most places worldwide. I require digital photos which can be emailed to me or snail mail if you prefer. I need side views, front view and sometimes a back view of your pet. your dog or cat in the desired pose . Due to the volume of requests I receive, there is usually a waiting list of 3 to 8 weeks . After I have completed your sculpture, I will email you pictures for your approval or changes .
" 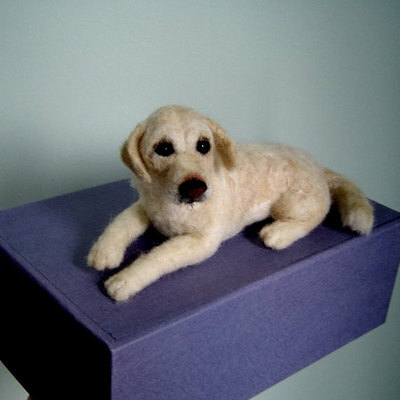 I just received my sculpture of my dog, it's just beautiful you have captured him. Your work is truly a work of art." 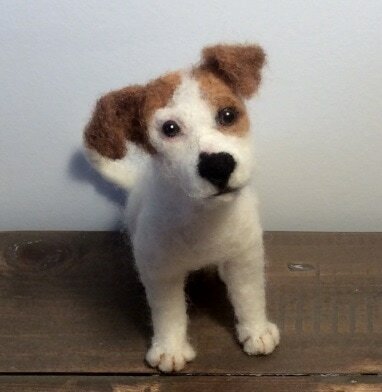 "Beautiful needle felted sculpture! It is wonderful made. It was a fun process to work with you. Thanks again for making this special piece." "An absolutely beautiful crafted rabbit, fits in the hand delightfully and the colours all work together to create a life like image. The perfect gift "
"This artist's work is incredible. The work was completed very quickly and the communication excellent. 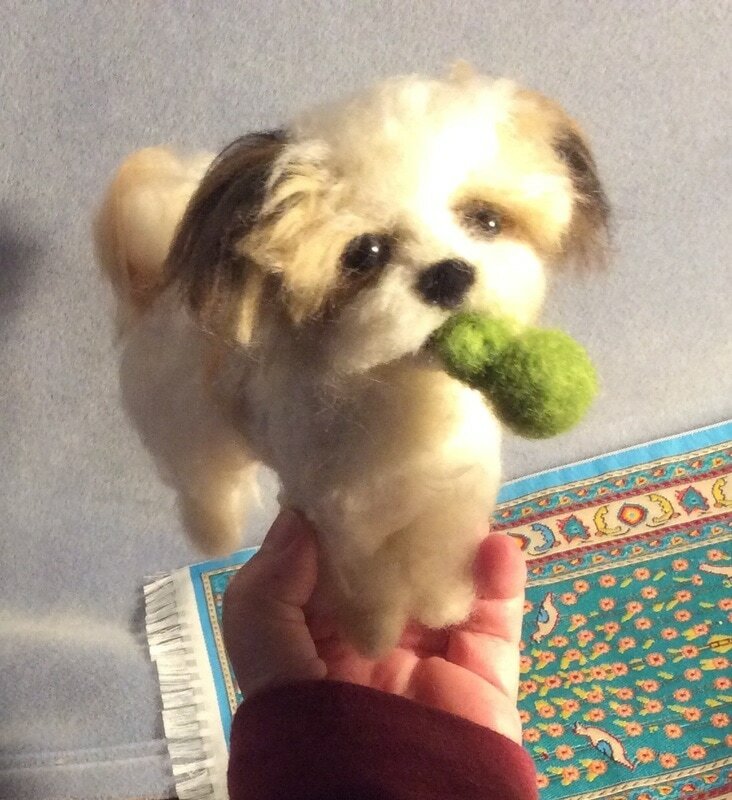 The dog will make a lovely present, thank you so much!!" "Absolutely amazing to work with! The custom piece of my pup was beautiful! " "My two Rex cats are just brilliant, they have so much personality that they seem alive:) This has been the most perfectly lovely transaction, I could not be happier !!" "ADORABLE!! good communications, packed very well, will buy from again. very happy! ", "So very darling!!! Loved it", "Absolutely wonderful-Skilled workmanship-Fabulous faces", "WOW!! exceptionally gifted artist. lovely. thanks so much", "Your talent amazes me! These little animals bring so much joy, thanks again!!! ", "Absolutely beautiful. You would think it was real."